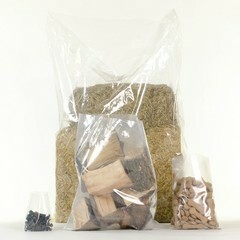 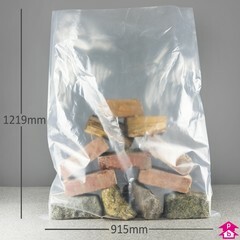 This range of extra-thick 'mega' sacks provide the ultimate protection and plastic bag strength. 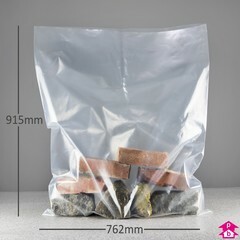 Made from clear 800-gauge polythene - twice the thickness of most heavy-duty bags - these sacks will handle the toughest of contents, while letting you keep an eye on what' being thrown in them. 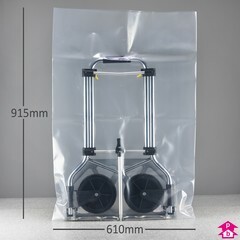 No job is too tough for these mega bags!